At Jeff Sailor Seminars, it is our mission to help you become a better professional. In order to make proper judgments, you need to know the professional standards. To help you with your research, we have compiled the following list of the most useful links to get you started. 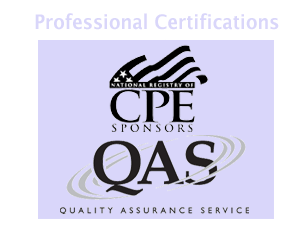 SQCS 8 This link provides the full text of SQCS 8, which requires a written system of quality control for all CPA firms. State Societies This link will provide information about state CPA organizations.